Discussion in 'The Lounge' started by stinkyboy, Jan 6, 2008. Never ordered from them until a couple minutes ago. Good or bad dealings with them? I heard they sell retarded gloves for $25, but other than that, nothing. I had high hopes for you when you bought your Santa Cruz, then you fall in a swamp, buy a hard XC bike and get married. I've ordered from them in the past. No hassles, no problems, I'd order from them again if they have what I need. I heard they sell gloves for the retarded, but other than that, nothing. i've ordered from them once and it was fine. I live downtown in a large city where crackheads and moron drivers have no respect for cyclists. Sideview mirrors and jaws are easily broken with these gloves. My old ones needed upgrading. 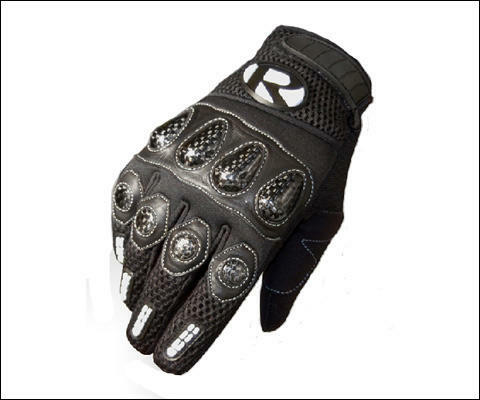 Cyborg gloves are still the rage? How do you like 'em so far? I was a little skeptical about hard knuckles at first, but I got a pair of Fox Unabombers a while ago, because I liked everything else about them, and they were cheap, and they definatly saved me some pain. I don't notice the carbon fiber bits at all when I'm wearing them. I've run the BMWs and the Rockgardns and love them. I wear XXL gloves, but some of my buddys (with smaller hands) have complained about the fit digging into their hand(s). Cactus Bike dumped the BMWs for the Rockgardns because of this issue, but I've had very good luck with both. The 08 dual knuck is suppose to solve the rippage illustrated in my photo. Try them on first and ride them if you have a chance before purchase. Blue sky has been OK, the most frequent problem is not having something in stock when they say they do. Hmm. They sent an immediate email confirming at least. 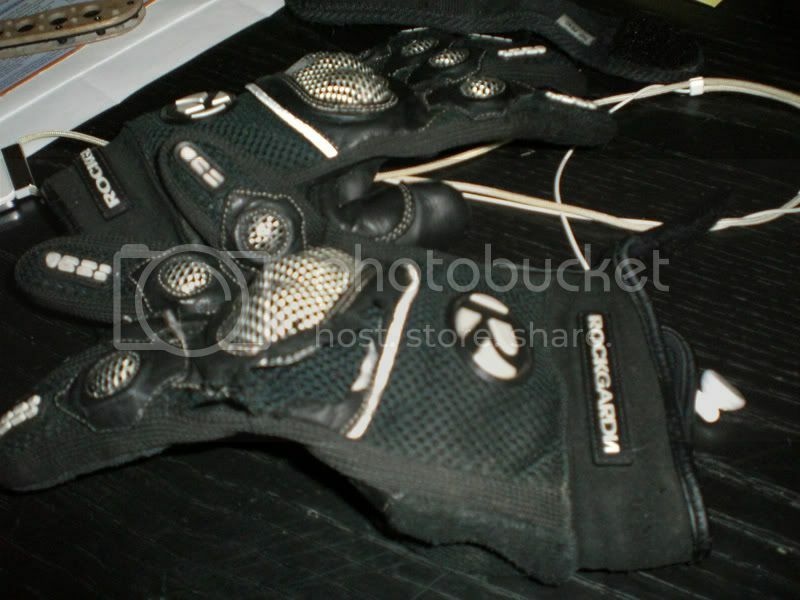 I know nada about blue sky, but I ripped the palm out of the Rockgrdn Fate gloves out in 1 season. No, I've been sick as a dog, I'm even considering a 29'er. The palms are weak compared to the BMWs. Whatever ya do, let's pedal around in downtown PHX when ya get a chance. I buy pedals on a regular basis from blue sky. Good deals on time pedals and with the rocks here, I go through them a lot. Seriously, I have bent one spring in 7 years. Wumpus has broken one. Watch the rocks for krissakes. Agreed, liked my BMW's better, wish I could remember where I put mine!